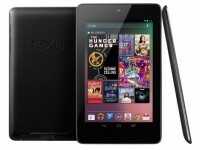 The AOSP ROM and instructions provided in this guide are meant for Asus Nexus 7 (first and second generation) models only. Do not attempt installing the firmware on any other model, as you might end up bricking the device. Ensure the device is factory unlocked and rooted with ClockworkMod (CWM) recovery or TWRP installed on it. Connect and mount the Nexus 7 USB mass storage on computer via USB cable. Copy and paste the downloaded AOSP ROM and Google Apps zip files to the root folder on the tablet. Power off the tablet and disconnect its USB cable from computer. Boot the Nexus 7 into Bootloader Mode by pressing and holding Volume Up, Volume Down and Power buttons together. Follow the onscreen instructions and select Bootloader option to boot into Recovery mode. NOTE: Use volume buttons to navigate between options and Power button to select an option in Recovery. In CWM recovery, click Install Zip from SD card and select the ROM zip file copied earlier to the tablet (repeat this step for installing Google Apps as well). After selecting the ROM file, allow the ROM to be installed on the device. This process may take about five minutes to complete. After the installation completes, hit "Go Back" and select Reboot System Now to reboot the tablet into the newly installed ROM. 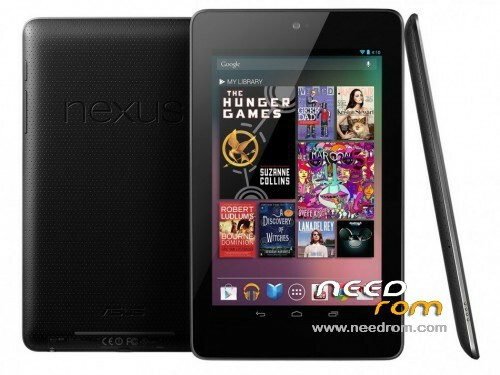 Android 4.4 based AOSP custom ROM is now successfully installed on your Asus Nexus 7. Go to Settings > About Tablet to verify the firmware installed.